This is Chase! He is a miniature #poodle mix that is between 6-10 years old and weighs around 20 pounds. Isn’t he #adorable? He’s sassy, opinionated, and has a lot of energy – I #love hanging out with him! Although he likes to be consulted before you pick him up, he is a lovable little guy. Chase loves playing ball (how do you think he got his name?) and will literally never stop going after it and bringing it to you once you start. Sadly, he was surrendered because his last owner was ill and couldn’t take care of him any longer. Will you adopt him? He needs a #home without #cats or children. If you are interested in adopting him, get at me, dawg! Comment or DM me here or tweet my Mama @kelsey_cruz. 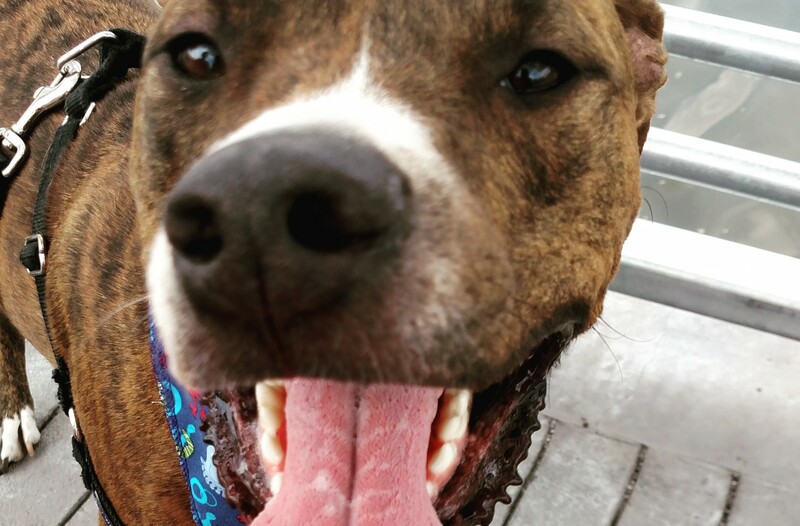 He is a @phillypaws boy in need of a wonderful #home so you can always email them directly at dogs@phillypaws.org to learn more about #Chase and how you can #adoptnotshop him. And remember, #KING is #wheredogsrule. #PUPDATE 12/1/15: Beano has been adopted! #HappyThanksgiving from Beano! He’s a #poodle mix who is at least 10 years old and weighs 15 pounds. This little guy is such a good friend to me! He’s #funny and #goofy – his flyaway ears and snaggly teeth give him such character! Although he is a bit older, he acts like a puppy and has so much love to give. He can live with other #dogs, cats, and kids. Sadly, Beano was surrendered because his owner no longer had enough time to care for him. And since #November is #AdoptASeniorPetMonth, what would be better than giving my buddy the gift of adoption so he can have #Thanksgiving in a #furever #home? If you are interested in adopting him, get at me, dawg! Comment or DM me here or tweet me @wheredogsrule. He is a @phillypaws boy in need of a wonderful #home so you can always email them directly at dogs@phillypaws.org to learn more about #Beano and how you can #adoptnotshop him. And remember, #KING is #wheredogsrule. It’s #FureverFriday so King gets a toy break and I – an adopted dog – get to tell my adoption story: My name is Juju (formerly Puff), and I was rescued from @MorrisAnimalRescue a few months ago by King’s GRANDPARENTS! (We actually haven’t met yet because he is very naughty and bouncy and goes after all of my Mom’s #snowmen, but I am hoping to meet him around the holidays.) I’m a #poodle mix that was found as a stray in north Philly, and after I was taken in, the staff at Morris discovered that not only had I been abandoned, but I was also pregnant. Sadly, I lost all my babies so I was heartbroken and scared at the shelter; I just didn’t know what to do. When Mom and Dad saw me at the shelter, they got really emotional because I look just like their old dog Copper who passed away. But after they thought about it and talked about, they believed it was fate that had brought them to Philly that weekend and decided to adopt me and bring some good “juju” into their home. After they picked me up, we all went to @doggiestylesprucest where they got me a nice bath and a new collar, leash, and toys. (I’m spoiled, for sure!) I love my family and am so grateful for them and the staff at Morris for giving me a furever home. I enjoy playing with my alligator Ally, taking walks with Dad, and jumping on Mom’s furniture (although she NEVER lets King do that when he’s there). I know Mom and Dad are very happy I’m here as well. They talk about me allllllllllllllll the time and send King’s mom pictures and snuggle me. I already have a furever home, but if you are interested in #adopting #Gordon or #Daphne or any of our other friends you’ve met, get at me, dawg! Comment or DM me here or tweet me @wheredogsrule. There are so many #dogs in need of a furever home, and we would jump (literally) at the chance to connect you to them. Every Friday, King drops the mic for an adopted friend of his to share his/her story. If you want to share yours, contact him. And remember, #KING is #wheredogsrule.